Location: Main foyer at Pearse Street Library, Dublin City. Description: The bee and honeycomb, its gathering and storing activities seems an appropriate symbol for a library. 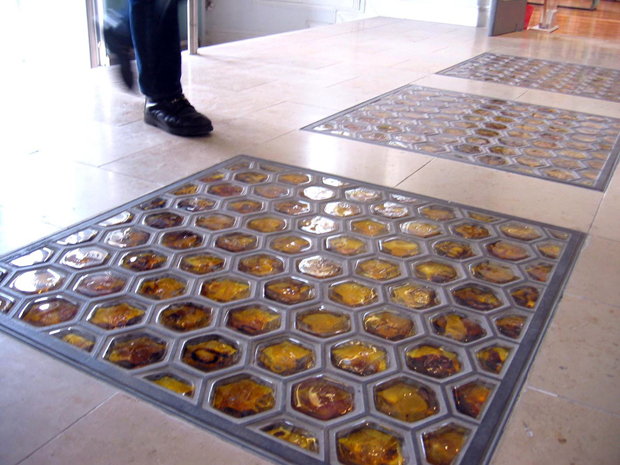 3 hexagonal cast iron grids house honey amber cobbles. 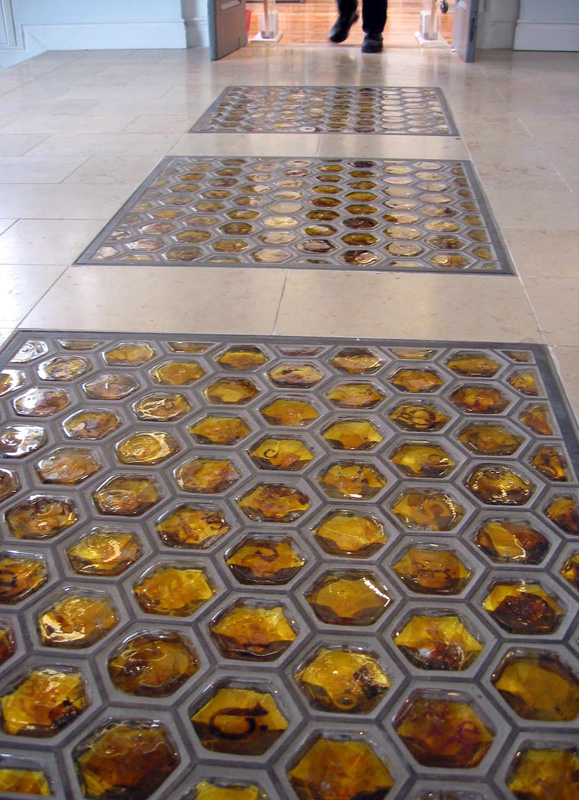 Glass cobbles have Irish type face letters embedded that appear like speckled powdered pollen. The lighting underneath creates a warm glow.